I Bet You won’t stop playing! Naughty Wolf robbed all of carrots which is rabbit’s meal in carrot village. 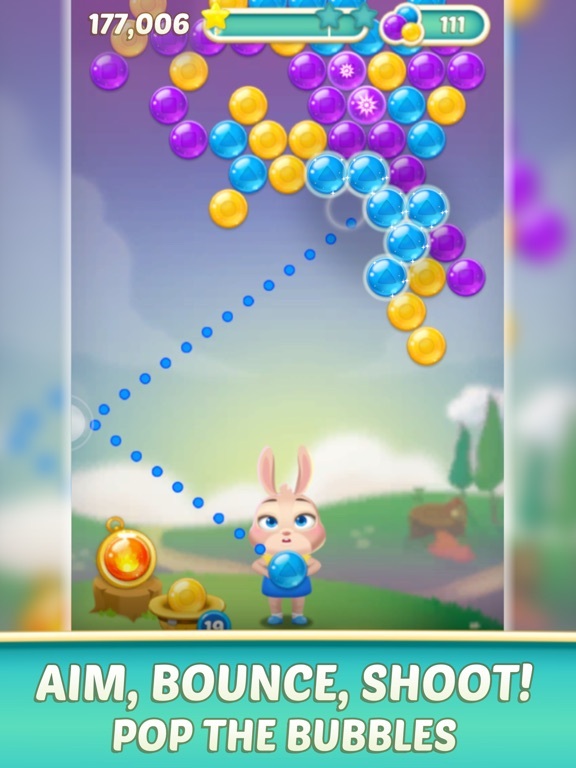 Chase down that wolf and beat it by bubble shooting. • Just Drag & Drop! than bunny would throw a bubble to POP! 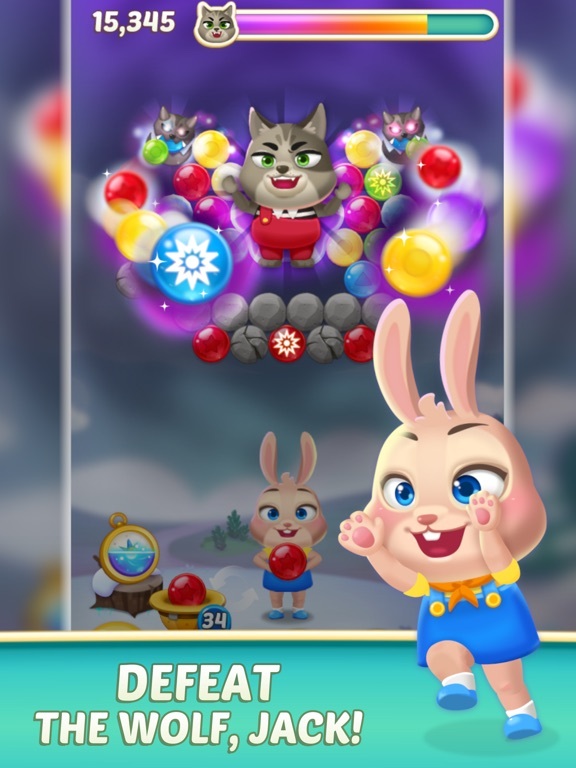 • Match 3 or more colored bubbles to Burst! 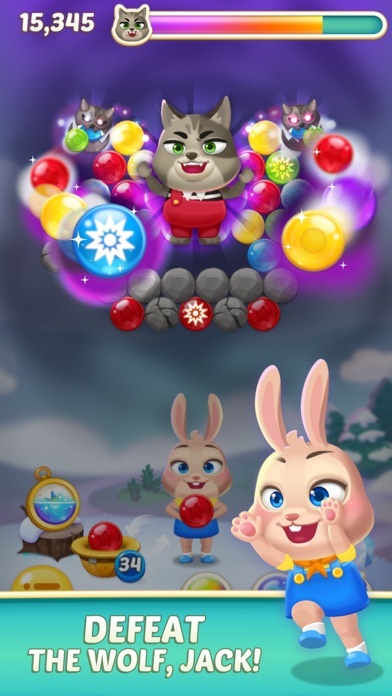 • Special boosters & aid bubbles help you to travel magical world. 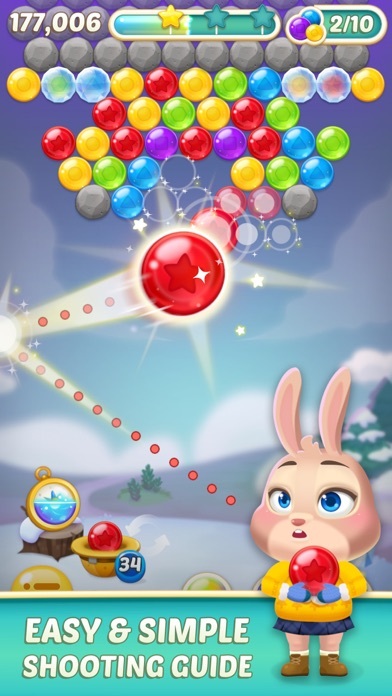 • Burst bubble levels with minimum shoots to win higher scores. • Don't worry! There’s no time limit! 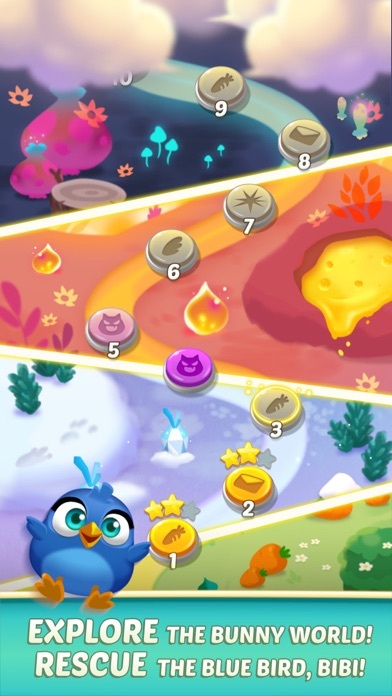 • Play 5 Different types of mission! 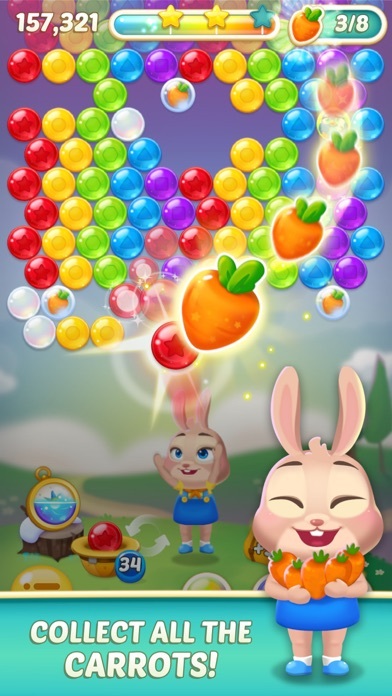 • Collect & Change your bunny costume! - Over 300+ levels are unique and full of fun and amazing challenges! - Explore the beautiful world with Bunny! - Play it anytime anywhere! - Play it anywhere without network. 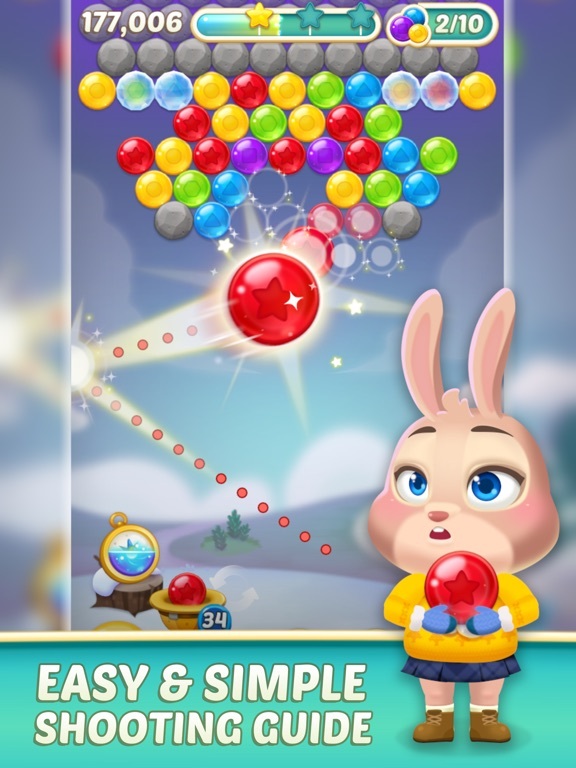 • Bunny Pop 2 contains some ads which is banners, interstitials, videos and house ads. 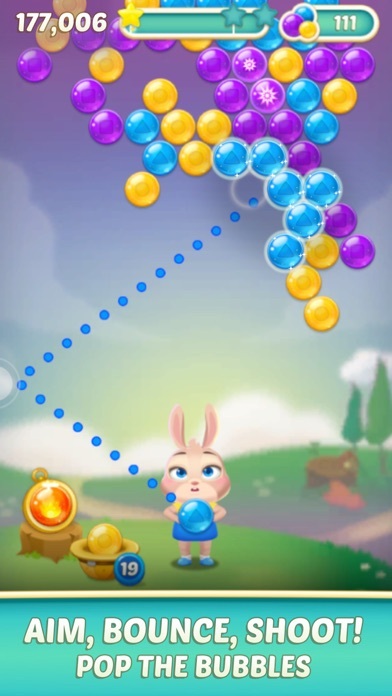 • Bunny Pop 2 is free to play game, but some of in app purchases included. 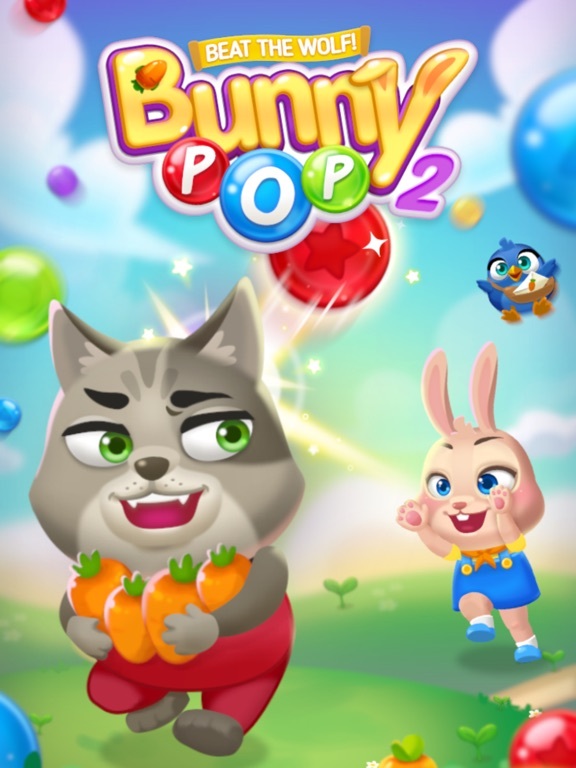 Having fun playing Bunny Pop 2! - Few Minor Bug Fixed.